I've recently taken on the task of trying to better organise my image archives, and it has led me to discovering some hidden gems amongst my portfolio of images. One of the reasons I love photography so much is the ability of a single image to evoke memories and emotions. It's amazing how powerful an image can be, and in recent weeks I've definitely been on a journey down memory lane. Take this shot of a Cobalt Blue Zebra cichlid for instance. It was taken in 2004, with my first ever digital SLR camera - a Canon 300D. I hadn't seen the image in years until a few weeks ago, but seeing it during my archive reorganisation was like stepping into a time machine, and memories surfaced like I'd taken it only yesterday! For instance, I'd owned several SLR's before I went digital, and had taken thousands of images, but I learned more about photography from the immediacy that the 300D afforded than any other camera I'd owned. It was like I'd had my eyes opened and actually understood the relationship between aperture, shutter speed, focal length and film speed for the first time. 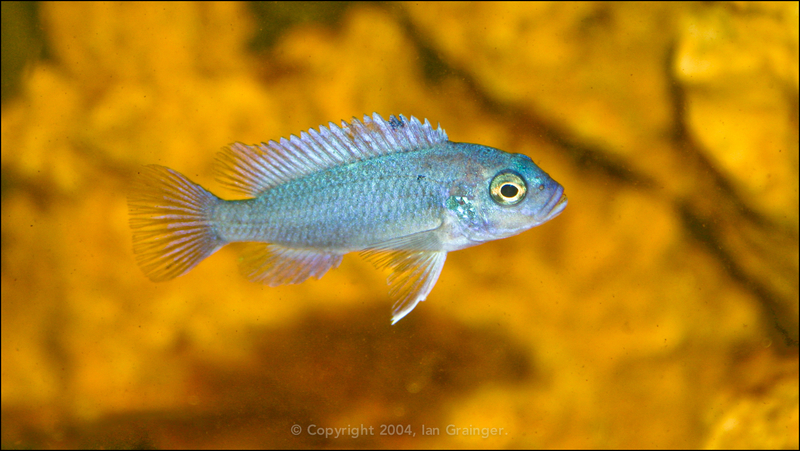 This particular image also takes me back to a time when I kept freshwater tropical fish. At one point I had several tanks set-up for breeding cichlids, live bearers, bubble nester's, and corydoras catfish amongst others. I also kept a wide variety of other fish. I was probably more into fish keeping than I was into photography, which I find hard to believe now! I remember this particular image as it was the first time where everything came together with a picture of a fish that I'd bred in my own tanks! I remember being very happy with the colours, and over the moon with the sharpness, and even the composition wasn't terrible!